The makers of away-from-home hand soaps are taking cues from retail shoppers to create high-end, spa-inspired hand cleansers for the commercial market. Driven by the popularity of retail chains such as Bath & Body Works, and the numerous luxury soap offerings lining shelves at department stores like Target, soap manufacturers are using select fragrances, moisturizers and other natural ingredients to appeal to the changing predilections of the broader public. In the home market, spa soap products are a multi-billion dollar business. During the past few years, the demand for luxury and artisanal goods has spiked across personal care areas. This trend continues despite its higher price tags; some consumers are willing to shell out more than $15 for a 16 oz. bottle of luxury hand cleanser. As spa soaps become a staple item on the retail side, distributors say building owners can expect the demand for these products to rise on the commercial side, as well. After all, the buyers of personal hand soap are the same people who work at and visit the facilities serviced by the nation’s building service contractors, Martini says. In the past, it was a priority for BSCs and building owners simply to supply and maintain hand soap quantities in facility restrooms. Today, selecting the right type and quality of soap greatly affects visitors’ image of a facility, especially in upscale environments. “(In the past) the soap was clear, or slightly off-white in color, which is very bland,” says Laura Craven, director of marketing, Dade Paper, Miami. 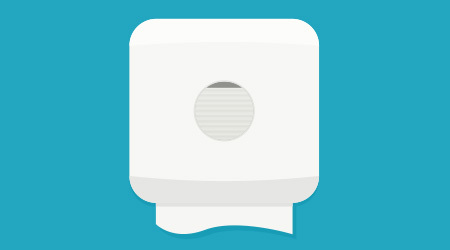 In a healthcare facility, a featureless, clinical-smelling soap may comfort visitors who are concerned about infection control, but in an upscale office building the same smell may convey an unwelcoming feel. Instead, luxury hand soaps are being offered in bright, translucent colors like pastel pinks, purples, blues and greens with warm, natural scents. While there isn’t an exact description for “luxury,” “high-end,” or “spa-inspired” hand soap, as opposed to traditional options, manufacturers generally consider spa soaps to encompass natural ingredients, appealing colors and pleasant scents. Soaps with added moisturizers and emollients — such as Aloe Vera, Vitamin E and other natural oils — add to the value of these products. The soaps tend to come in a higher quality form, such as foam, and are typically meted from sleek, modern soap dispensers, adding to the upscale image. Traditionally, BSCs were encouraged to stay away from colorful, scented soaps; overly fragranced hand soaps could be off-putting to users and discourage them from washing their hands. Moreover, it was difficult to find a fragrance or color to appease all building occupants and visitors. But today, it appears that manufacturers have grasped consumers’ changing preferences and discovered a sensible balance. Unlike previous fragranced hand soaps, which could smell overpowering or “engineered,” according to Martini, today’s manufacturers draw their inspiration from nature.